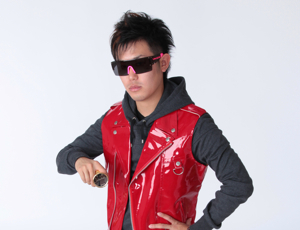 Hiroyuki is a Freestyle YoYo Performer. Back in 1997 , there was a big yoyo boom in Japan and he started to play with yoyos. In 2001, he competed for the first time in the “World YoYo Contest” in the USA. He placed 9th in the 1A division. He stepped up his game in 2002 and this time took 2nd place at Worlds. In 2003, He became Japan National Champion. Also in 2003 Hiroyuki designed and released for world distribution his very own signature YoYo “ Speeder “. He also won the 1st Asia Pacific YoYo Championship and repeated this 6 times in a row. In 2004, he became the WORLD CHAMPION. Hiroyuki was WORLD CHAMPION again in 2005 and 2006 he was the World Champion in the1A division for 3 years straight. He is the one and only person to ever accomplish this feat. In 2012, he became JapanNationalChampion , Asia Champion and WORLD CHAMPION again. He has 2 Guinness World Records 1. “The Most Eli Hops in 30 seconds” in China and Japan, and 2. The fastest time to knock off a coin from the ears of 15 participants with a loop-the-loop yoyo trick.” in Italy. Currently, his signature yoyos, “Speeder2”, “Meteor”, “PHENOMizm” and “PHENOM” are sold all over the world. His stage is not only at contests , he has performed in the Fashion Show “Hair & Beauty” in Germany as the opening act. Hiroyuki has also performed in Clubs, at Music Festivals, in Schools and more. Hiroyuki has performed in Japan , the USA , Germany , Italy , Singpore , Malaysia , Thailand , Hong Kong , Taiwan , China , Indonesia , New Zealand and Mexico. Hiroyuki is ready to rock the world. Copyright (c) 2019 Hiroyuki Suzuki World YoYo Champion Official Website.